The activity co-ordinators had a clear plan of how they wished to develop activities and promote the wellbeing of people living at Chapel House. They made sure they spent one to one time with people as well as organising group activities. Chapel House Care and Nursing Home is our new acquisition and we offer home from home services, a range of superb en-suite rooms, Permanent Residency, Respite Care, and Convalescence. Welcome to Chapel House Care Centre, Gloucester. Coate Water Care have created a ‘home sweet home’ environment in a five star setting at Chapel House and our dedicated team of carers, nurses and support staff are the guardians of a highly professional and personalised care service. We are proud of our reputation as a safe and caring residential home where people feel ‘at home’ as soon as they step through the door. 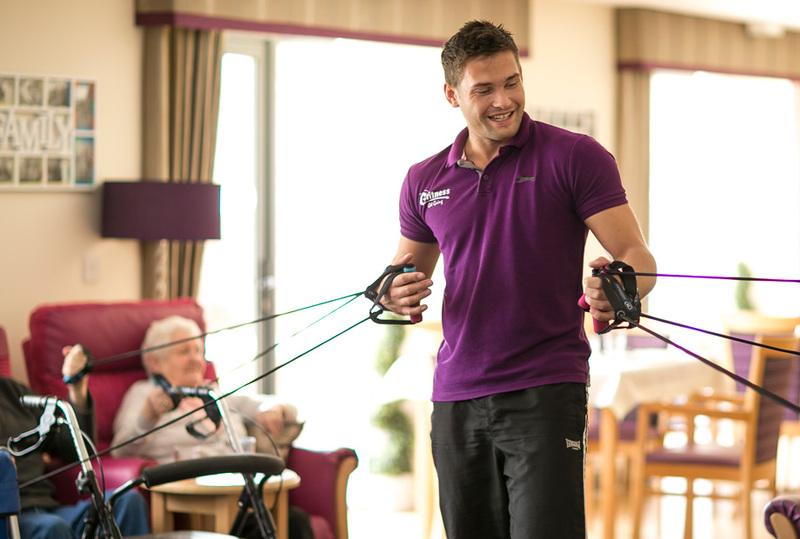 We would be delighted to show you around our luxury care home in the heart of Gloucester. Managed by family-run care providers Coate Water Care, Chapel House Care and Nursing Home offers quality residential care, day care and respite care, including 24-hour nursing care for people living with dementia. Our qualified nurses and experienced carers also provide specialist care for residents with palliative care needs. Chapel House - Keeping active, having fun and eating in style A physically active lifestyle can significantly improve people’s quality of life at all stages of dementia. Chapel House’s two Activities Organisers work hard to incorporate people’s hobbies and interests into their daily routine. Some residents enjoy sitting peacefully with their favourite carer, others prefer to be more active. And there’s plenty of choice: live music sessions, hair & beauty treatment, cake decorating, sensory gardening, visits to local parks, Christmas parties, theatre trips, and bespoke exercise sessions.